I love all summer fruits and vegetables. One that I will definitely miss is corn! 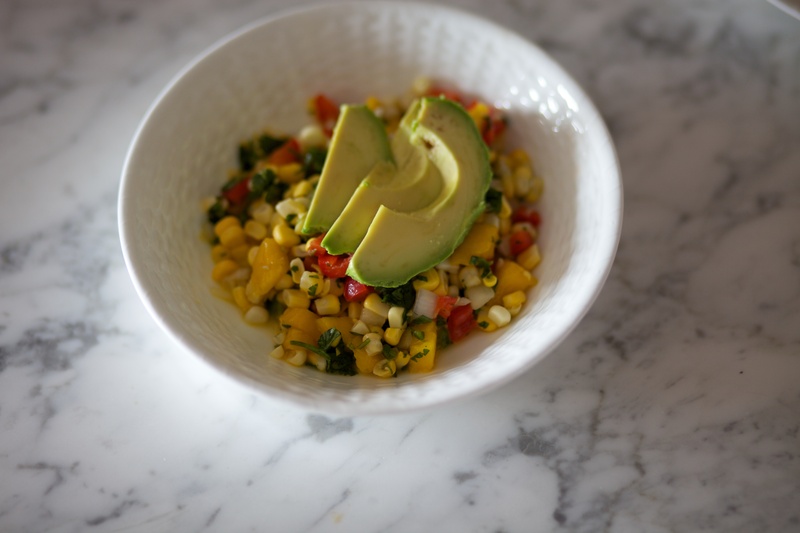 There’s nothing like fresh sweet summer corn. I made this salad recently and can’t wait to make it again before all the delicious fruits and veggies are out of season. You should try it too! This made a lot of salad! Toss all the ingredients together (except for the avocado). Let marinate in the fridge for a couple hours, it tastes better with time! Top with avocado if you like, for me the avocado added a whole other lay of flavor to the salad. Make it a meal by topping it with grilled chicken or shrimp. Delicious! I love making large batches of salads that can stay in the fridge. It makes for a really easy meal. If you don’t have any extra chicken lying around but want some protein to round out your meal try having a yogurt for dessert and you’ll be nice and full. As you can tell one of my main priorities right now is putting a healthy dinner on the table. Since time is hard to come by simple is the key! 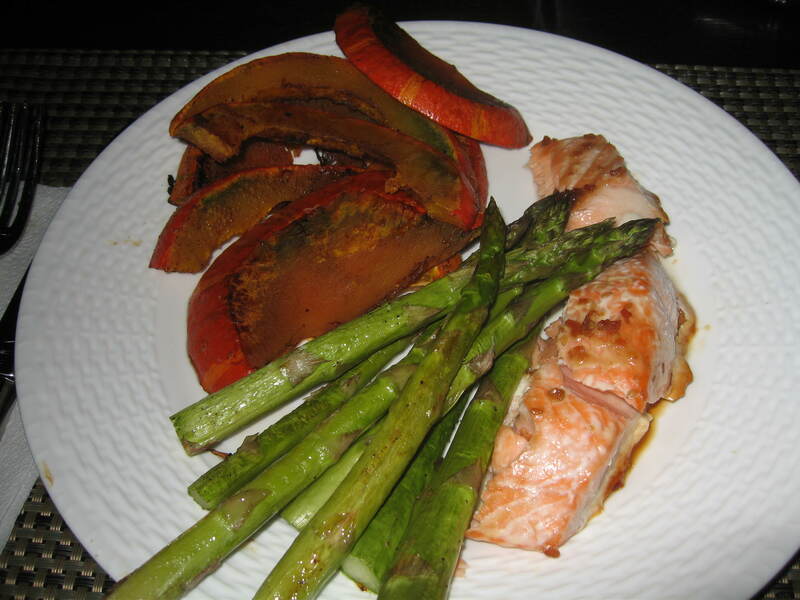 Baked salmon with roasted asparagus and kombucha squash. The prep time was 15 minutes! For this dinner, once everything is prepped you just let the oven do the rest. The result: a healthy and delicious dinner on the table. Kombucha Squash: The cutting of the squash took the most prep time out of all. Make sure to be careful, cutting hard squash can be dangerous! 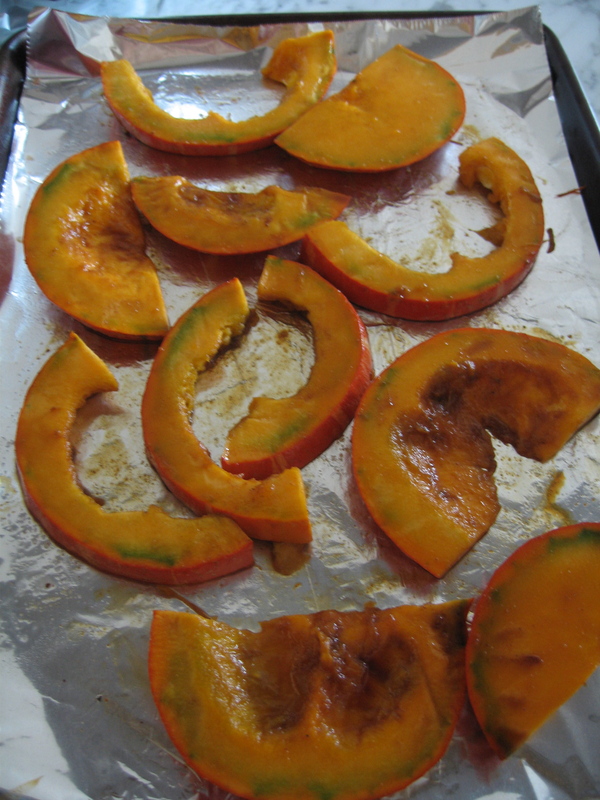 I sliced the squash and tossed it with some spices (cumin, paprika, cinnamon, cayenne, salt, pepper, a dash of sugar and olive oil). 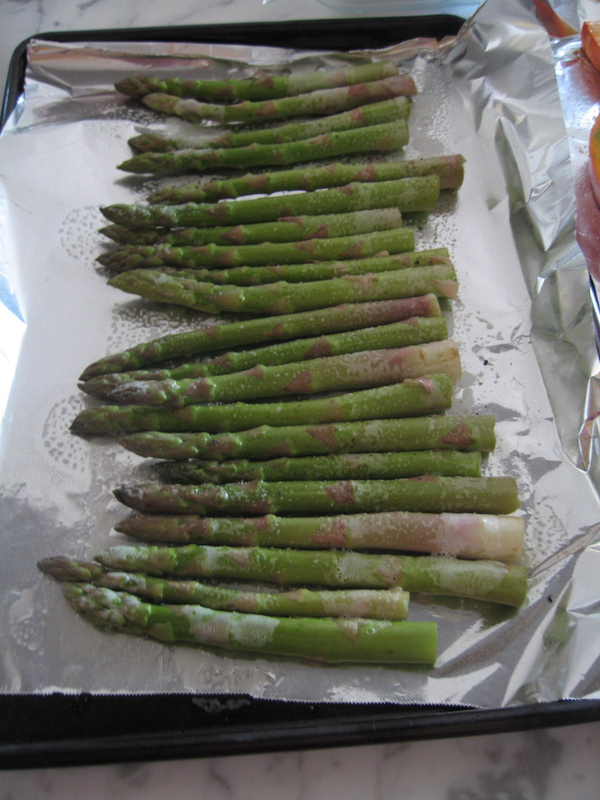 Roasted Asparagus: I washed the asparagus, trimmed off the tough ends and placed the asparagus on a cookie sheet coated with cooking spray. Tossed with a drizzle of olive oil, salt and pepper. 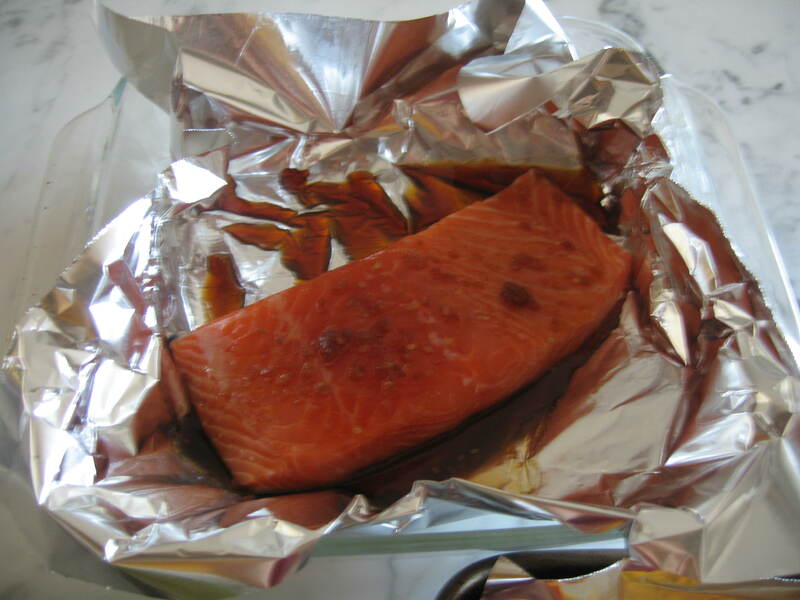 Salmon: One of my favorite ways to prepare salmon is to top it off with a little Soy Vay. You can easily make your own similar marinade, but again when I’m crunched for time using some help from the store is the way to go! As you can see I lined all my baking dishes with aluminum foil to allow for easy clean-up. I know it’s not that environmentally friendly but the last thing I want to do at night is scrub baking dishes, they are a real pain to clean! I preheated the oven to 425 degrees. The squash takes about 40 minutes total. So I put the squash in first. After 20 minutes, I flipped the squash and then added the salmon and asparagus to the oven. The greatest part about oven dinners is that you can do other things while the oven is doing the work. In no time dinner was ready. I try to make salmon one time a week since it’s so healthy. It’s also very easy to cook. What’s your favorite way to prepare salmon? Have you ever tried Kombucha Squash? More about salmon and kombucha to come!